The Obama Administration has worked hard to advance clean coal technology, promote carbon capture and storage, and devise practical means of meeting more stringent clean air criteria. However, there’s always more to do when it come to climate policy, according to Ned Leonard, Vice President of Program Support, American Coalition for Clean Coal Energy (ACCCE). Leonard is a speaker at the Power Plant Management Summit in Richmond, VA this month. So what is the importance of climate policy for America? “It has been obvious for some time that if the US is to “do something” to meet the global climate challenge, we must do something about carbon dioxide emissions from coal or coal products combustion. If one appreciates the linkage among coal-based electricity generation comprising nearly half of US electricity, it is easy to comprehend the importance of climate policy for the US. As a nation, we are blessed with a variety of options that each will address a facet of the challenge to reduce the atmospheric concentration of CO2. But we need every option – including capture, storage, and beneficial re-use of carbon dioxide from coal-based electricity generation – to get the job done,” Leonard explains. Is the Obama Administration doing enough to secure America’s environmental and energy future? “While it is tempting to criticize policies and actions that are less-than-perfect, in my 33 years in Washington, DC, watching Republican and Democrat administrations come and go, each rejiggering energy and environmental policies to meet constantly evolving challenges and opportunities, no President’s Administration has done the energy/environment job perfectly. “The Obama Administration has worked hard to advance clean coal technology, promote carbon capture and storage, and devise practical means of meeting more stringent clean air criteria. Is it enough? President Obama’s predecessors left way more to get done than probably any one President ever can accomplish. And in the US, the Congress is a critical partner in attaining any measure of success. There always is more to do,” Leonard adds. 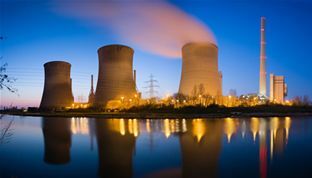 Development and deployment of advanced clean coal technologies will produce electricity with near-zero emissions, it has been asserted by the ACCCE. “The clean coal technologies that have evolved since 1970 already are designed to remove 90 per cent or more of sulphur dioxide, oxides of nitrogen, particulate matter, and mercury in the new round of installations expected to take place as the US Environmental Protection Agency issues new regulations. The cutting edge now, of course, is the development and commercial deployment of technologies to capture carbon dioxide for permanent geologic storage or beneficial re-use. Achieving greater efficiency in boiler operation, gasification, heat transfer, and turbine technology all will play important roles in making coal use cleaner,” he says. The marcus evans Power Plant Management Summit, Richmond, VA will take place on 27-29 September, 2010.